© Ahmed Suhal. All rights reserved. The river Ganges is regarded as a sacred river in India. 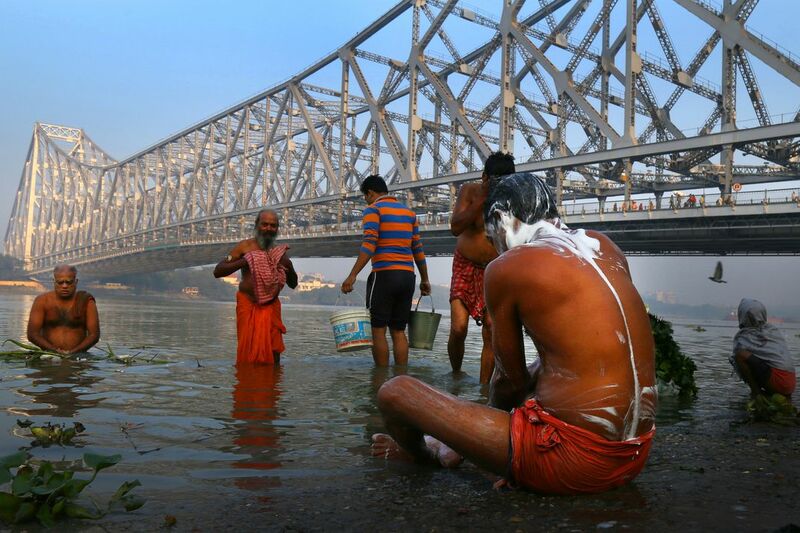 Traditionally religious people believe that the holy waters of the river are found in all the bases of the Ganges River. The river Ganges flows through the city of Kolkata . The Hawra bridg is one of the best heritages of Kolkata. Under the Hawra bridge devotees and mass people come for bathing at dawn.